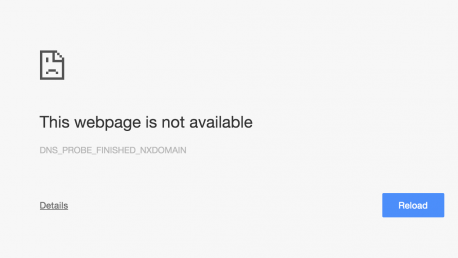 If you are a frequent internet user, there is a chance that you may encounter the error this webpage is not available DNS_PROBE_FINISHED_NXDOMAIN or DNS PROBE FINISHED NXDOMAIN via your browser. This error mostly pops up on Google Chrome while other browsers like IE or Firefox works just fine. The good thing about this error message is that it gives as an idea on where the problem is originating from and thus fixing it is an easy issue. As a precaution, users are advised to maintain their computer in the best possible state for great performance. This includes cleaning the PC and optimizing it. In case the computer is well maintained but still the error pops up, you should try out the methods below to resolve it. Flushing your Domain Name Service (DNS) is the first point of action. On the keyboard, press WIN + R.
In the dialogue box, type “cmd” and hit ENTER. The command will execute and now you can restart your PC. Retry accessing the webpage you had opened before. If the attempt above does not iron out the issue, you have to now go to the DNS Settings and turn a few things around. On the window that opens on the left hand side, select “Change Adapter Settings”. All existing network connections appear, and now you have to identify the active one. Right click it and choose “Properties”. Click “Internet Protocol Version 4 (TCP/IPv4) and again click on properties. Now launch Google Chrome and see if the DNS_PROBE_FINISHED_NXDOMAIN error message persists.